First remove the skin from the release paper and place it back on about an inch above the backing’s bottom edge. 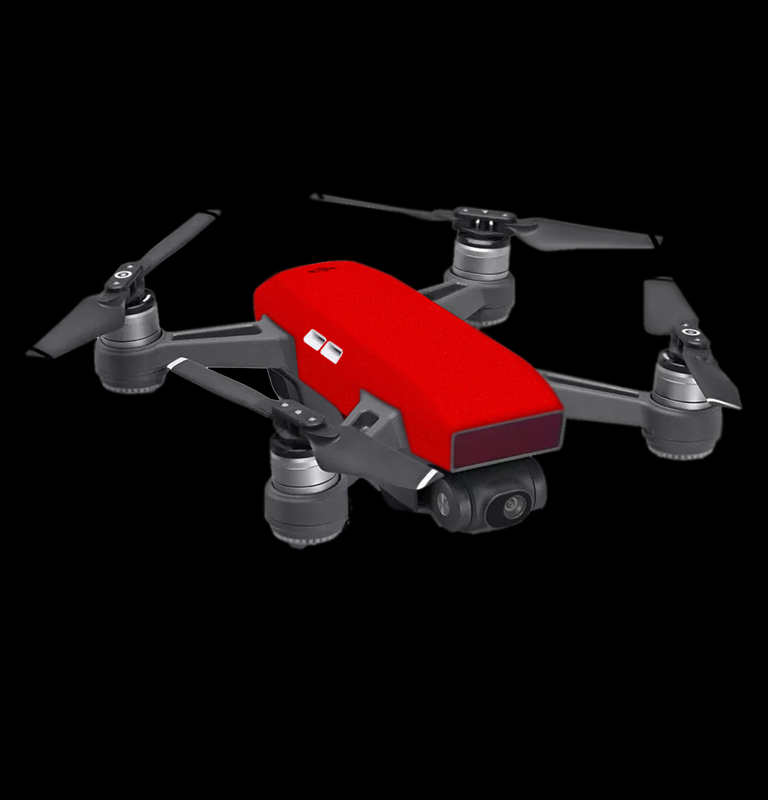 Regardless of which DJI drone you're applying a skin to, the process is relatively the same. We will use the Spark as an example. Next, align the back edge of the skin to the back edge of the drone and press down firmly on the edge only. Do not press down on the side tabs yet. If desired, you can apply a small amount of heat from a hairdryer to help keep the vinyl attached for the next step. Remove the release paper and re-align it horizontally between the top and bottom of the skin. Align the skin's logo cutout to the logo on your drone. Press around the edges of the logo to secure the skin. Remove the release paper from the middle and only smooth out the back top portion of the skin. Now, hold a hair dryer, on low heat settings, slightly above the drone and heat the sides generously (don't melt the vinyl though). Gently roll over the sides of the skin and smooth out any wrinked with the microfiber cloth. Give the whole drone a final shot of heat and smooth out with a lint free cloth to remove any rough edges. If the corners don't seem to align perfectly, let the skin cool, pull it up gently and retry. The vinyl can be manipulated with a small amount of heat by gently stretching and pressing. Again, add some more heat and rub down with a cloth to create a seamless finish.